Funded by her friends, colleagues and community leaders, the Sharon G. Miles Professional Development Fund exists to honor Sharon’s legacy. Sharon’s dedication and leadership to fundraising will continue to inspire others through an annual award that will recognize an individual’s service to the fundraising profession. 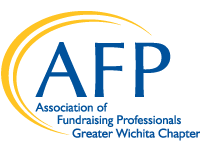 The Sharon G. Miles Professional Development Fund will provide financial support to a qualifying member of the Greater Wichita AFP Chapter. The scholarship is to be used to increase the recipient’s knowledge of and professionalism in fundraising. The Sharon G. Miles Professional Development Fund applications are due on October 1st each year.